Can I displays the folder size in Explorer-Views, file extension? There are different ways to see folder size, file size and eg the file extension in the individual File Explorer layers! 1.) ... Folder, file size in KB, MB, bytes in the list view! 2.) ... Activate file extension in the file-type column! 3.) ... See folder size in the status bar! See also: ► Tabs or tabs are not always displayed? 1.) Folder, file size in KB, MB, bytes in the list view! Please activate the folder size, start the file explorer and activate it with the option data size! (Image-1) The folder size information in Explorer-Views! Often referred as Folder Size, is a helpful feature. For all those who like to have the folder size always in view. However, if you prefer to just select file (s) or folder that you want to determine size. Right-click the file or folder, and then click Properties. Or use the ► ... folder size in the status bar to see function. If you not want to use the customization of file and folder size in a Column with percentage. 2.) Activate file extension in the file-type column! (Image-2) Show the file extension in Explorer Type-Column! 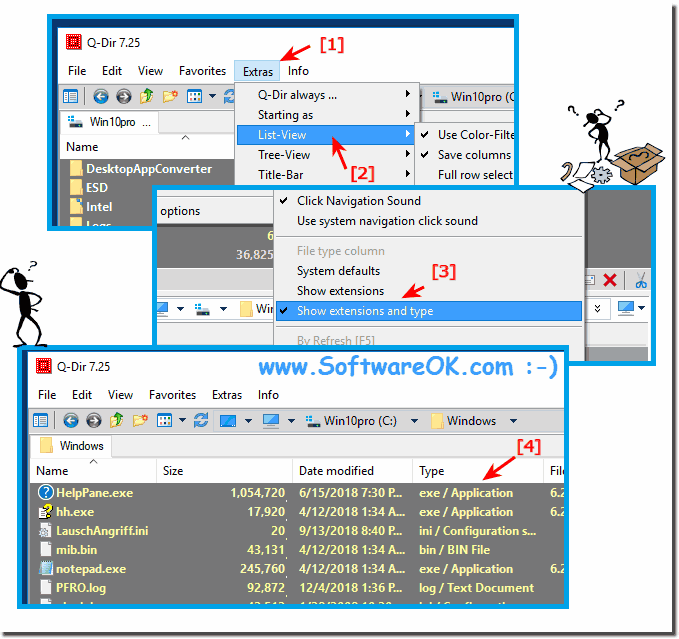 The file extension in the Explorer view can be very helpful if you always want to know exactly what kind of file extension it is. As you can see above in Windows 10 shot screenshot, you can easily use this example as a solution to faster recognize file extensions and easily on previous versions of MC Windows operating systems. The nice thing here is that the file extensions it does not matter if the file extension is called as a file extensions on the home Windows desktop computer, or on the way on the Tablet PC and Surface Pro or Go, or even displayed on a Business Server operating system. The file extension indicator was tested on different MS OS and succeeded verified. 3.) See folder size in the status bar! See also: ... Leave the folder size display in a column, does it? As you can see, the classic status bar can still be used to display a variety of helpful file information. Without losing the overview in the file management. If it is only about the size of the folder I recommend my work: MeinPlatz that is a real turbo when it comes to folder sizes. 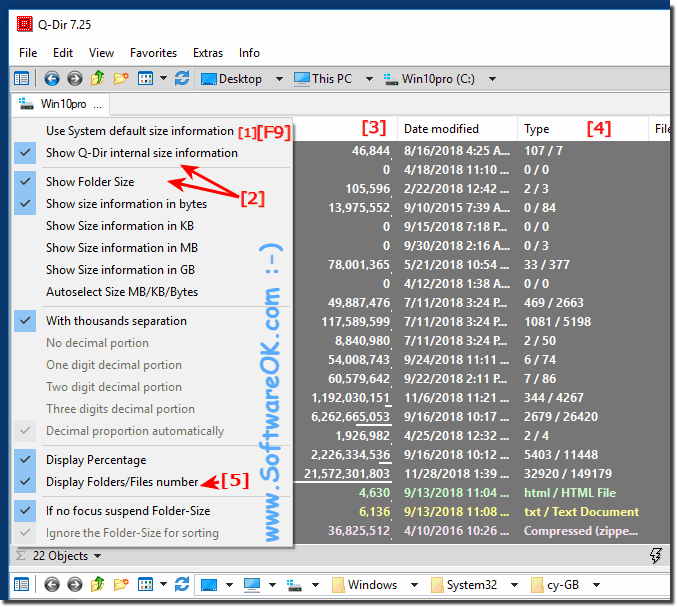 Q-DIR - FAQ-33: Can I displays the folder size in Explorer-Views, file extension?